Strhující kooperace dvou ruských šamanských rituálních ambientních projektů. Jediná 70 minut dlouhá hluboká kompozice. Status Prod. presents a collaborative album of Russian ethno - industrial projects Hladna and Ord, recorded during a private session on July 28, 2017 and now, due to the label, this record became available on CD. 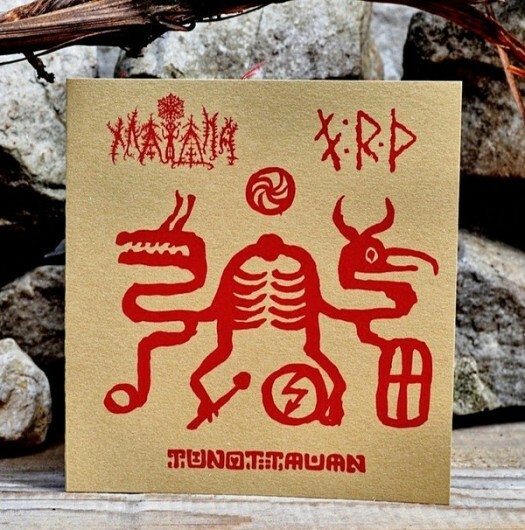 Two-headed God Tunottauan came to Koloyar, the leader of project Hladna, during the deep immersion into the subtle worlds, his image was reconstituted from memory and used in the design of the album. The album released in a gate-fold format, made of design cardboard, with an attachment from naturally aged material, circulated of 200,hand-numbered copies.